I had a rich conversation recently with a close friend and colleague about climate change and how the challenges it presents relate to Cultural Maturity. They relate in a couple of key ways. First, Cultural Maturity’s changes will be key to addressing climate change with the needed perspective and foresight. One of the most important new human capacities that comes with culturally mature perspective is a greater ability to appreciate and respond creatively to real limits. Climate change arguably presents our times most critical limits-related concern. Second, because the consequences of failing to effectively address climate change are so direct and potentially dire, the challenge presented by climate change realities should play a central role in helping to bring culturally mature perspective to other concerns where a species “growing up” is not such an obvious imperative. “We witness an example of misconceiving systemic risk today with climate change. A person makes the accurate, limits-related observation that we can’t know with absolute certainty that global climate change is real and then uses it to justify not responding to the threat. I often ask people who resort to such logic what they think the odds are that human-caused warming of the planet is happening and could have dangerous consequences. I make them commit to a number. I then ask them how they would feel about their children playing Russian roulette. Few people are willing to claim that the odds of global warming being real and significant are less than Russian roulette’s one in six. And the few who might maintain this claim have a hard time escaping the recognition that their conclusion has more to do with ideology than carefully considered evaluation.” In fact the science suggests we are playing with at least five bullets in the gun’s cylinder—a far from sane circumstance. Culturally mature perspective can take us a bit further by making it clear—as it does with major concerns of every sort—that the reflex conclusions of the political right and the political left each in their own ways leave us short of what is needed. Climate change denial—most common with conservatives—provides the most obvious example of ideological blindness. But when it comes to effective policy, liberal beliefs can prove in their own ways as problematical. For example, the common assumption that simply replacing fossil fuel use with energy sources like solar, wind, and hydroelectric will take care of things easily blinds people to the magnitude of the challenge. Liberals tend to have a hard time considering that less ideal options may need to play a significant role. (It has been hard for me to acknowledge that nuclear power may need to be part of the solution, given having at one time lead opposition to a locally proposed nuclear power plant.) Liberals are also commonly in denial about the severity of economic consequences that could result from poorly thought-out policies and tend to lack appreciation for the very different ways those consequences could play out in different cultural contexts. As with all critical issues before us, conventional conservative and liberal worldviews each lack the needed systemic sophistication. While such direct pertinence to effectively addressing climate change is most obvious, it may well be that the second kind of relationship—the way the climate change challenge can serve as a teacher for bringing culturally mature perspective to less clear-cut concerns and for the broader development of culturally mature understanding—will ultimately prove most significant. Addressing climate change will in no way be easy. The required acknowledging of inviolable limits and assessing of risk where the worst of consequences may lie far in the future can’t happen without important steps forward in how we think. But it is the case that what is ultimately being asked of us—a carbon neutral future—is not that hard to grasp. The goal, if not exactly how to get there, is straightforward. In Cultural Maturity, I describe dramatic changes that should reshape higher education in times ahead. Spiraling costs and the growing contribution of on-line learning will drive some of these changes, but the more important contributor will be the way assumptions common to Modern Age education get in the way of its ability to provide leadership when it comes to the most important tasks before us as a species (see link to book excerpt on the future of education). In our conversation, my friend shared how the board of Amhurst College was committing the school to being a model of sustainable environmental practices—including divesting from corporations that are major greenhouse gas producers (not unlike divestiture in times past from companies that profited from apartheid). So far, few other schools have been willing to take such steps—including institutions like Harvard that we tend to look to for example. It is interesting to reflect on why the moral example we see with Amhurst has not been the norm, given that the kind of risk assessment I have described is not that conceptually difficult and something we would expect higher education to be good at. 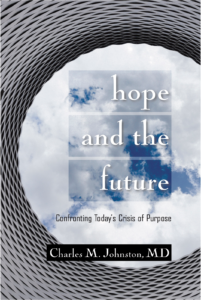 In my writing, I’ve described how a newly encompassing and systemic kind of moral leadership will be key if higher education is to effectively prepare our young people for the future and continue to be relevant. Amhurst should be applauded not just for intelligent policy, but for modeling culturally mature decision-making for its students and for society as a whole. 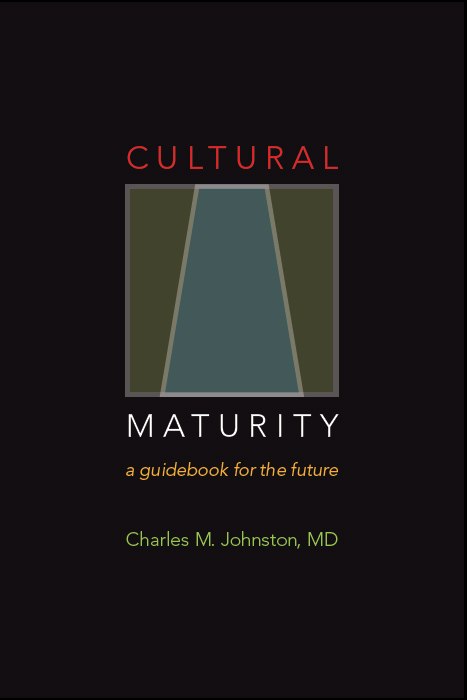 Cultural Maturity also addresses how modern representative democracy is best thought of not as a government’s ideal and endpoint, but as a developmental chapter with identifiable further developmental changes yet to come (see link to book excerpt on the future of governance). Thus far, governments have contributed appallingly little to addressing the climate change crisis, this in spite of the fact that protecting us from harm is one of government’s most explicit mandates. The question of how governments would need to change to provide the required leadership provides a good lens for examining governance and government as whole. The most important way that the climate change challenge may help further the needed cultural “growing up” relates to the overarching question of narrative, of an effective guiding story for our time. I’ve argued that the ultimate crisis of our time is a crisis of purpose, a crisis of story. Climate change is requiring us to rethink wealth and progress, indeed, to reexamine what constitutes human meaning. What does it mean to be a mature adult living at the moment in history when evidence of irreversible climate change is mounting? If we fail to take action now, what will be say to succeeding generations of children and grandchildren the world over? It is very possible that in time we will look back on climate change as human history’s most significant teacher of mature systemic perspective—and with this, ultimately, of wisdom.